Problem gambling and the risk of crippling debt. In our line of work at Credit Canada Debt Solutions, we provide credit counselling to a lot of people who’ve fallen on hard financial times. A number of our clients face crippling debt due to addictive behaviour, including the compulsion to gamble away hard-earned dollars while throwing personal budgeting to the wind. We’ve learned that gambling addictions can encompass all the desperation and obsessive behaviour that other addictions embrace. The real trouble comes not from the gambling itself, but from the person doing the gambling. In every gambling addict deeper psychological issues are always at work. They vary depending on the individual’s upbringing, self-awareness, social conditions, and financial literacy. Like all addicts compulsive gamblers seek to get high. But instead of chasing the high that drinking or drug taking can provide, the problem gambler pursues the thrill of the money chase, the excitement of financial risk taking, and the euphoria associated with winning. These emotional states provide a means of escape from psychological issues and perhaps social stresses that the compulsive gambler wishes to avoid. Often the psychological issues influence the addict on an unconscious level, and so hard work, courage, and deep, honest self analysis must come into play before the addiction can be overcome. In the end, the addict must make a moral decision to change his or her ways. That’s the first big step if there is to be any hope of progress. As well, there is the need to replace the addictive behaviour with other, more positive pursuits.When the gambling addict reaches out, there are people on hand who are ready to help through social and psychological counselling, as well as through credit counselling and debt management programs such as those offered through Credit Canada Debt Solutions. 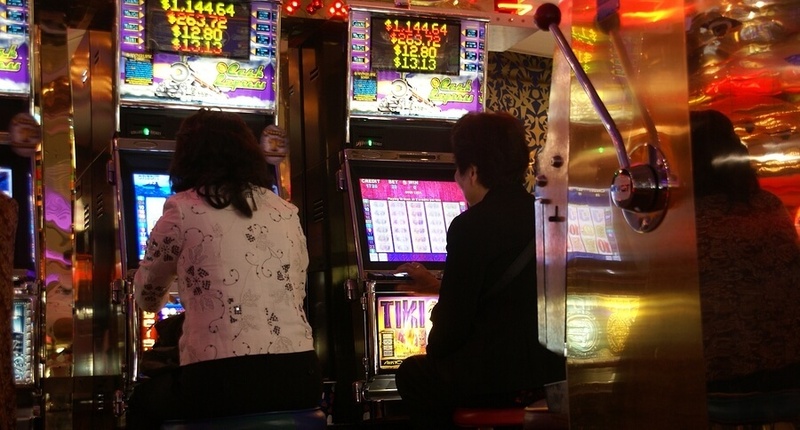 A lot of compulsive gamblers, feeling shame about their behaviour, are hesitant to reach out. They should be assured that there are many qualified professionals in Ontario – and right across Canada – who are not judgmental. In simple terms, no matter how severe the gambling addiction might be, troubled souls have got smart, caring people to rely on. Especially now, with the stresses of the holiday season upon us, gambling can hold a lot of allure as a means of escape or – among the dreamy eyed – as a way to overcome financial difficulties. This kind of wishful, unrealistic thinking can quickly turn the joy of Christmas into a period of grief, for it goes without saying that in the end for the problem gambler, the house always comes out ahead. We’re fortunate in Ontario to have a gambling and gaming culture that promotes healthy gambling activities, which ought to be seen in the light of being fun, occasional activities, rather than as a means to fill emotional holes, or as a way to solve financial problems. There is nothing wrong with buying lottery tickets, visiting casinos, or engaging in online gaming so long as one keeps a cool head and realistically limits spending. If money spent on gambling in any way negatively influences an individual or a family budget, then that is one big sign of trouble, though there are many other signs as well pointing towards the need for reputable credit counselling. The Ontario Lottery and Gaming Corporation (OLG) is talking about those signs these days, and about much more in relation to responsible gambling. In fact, OLG is doing a lot to raise awareness about gambling addictions, and to inform Ontarians about programs and initiatives that can help individuals and families overcome personal and financial difficulties stemming from problem gambling. This OLG Web site deserves praise. Its “Getting Help” section promotes the Ontario Problem Gambling Helpline at 1-888-230-3505, which provides problem gambling information and referral. The helpline is free, confidential, anonymous and available 24 hours a day, 7 days a week. OLG also promotes the Centre for Addiction and Mental Health's Web site at http://problemgambling.ca, featuring lots of literature and information about problem gambling. The site features a useful self-assessment questionnaire that can help with the evaluation of gambling behaviour. As well, among other programs and initiatives, OLG touts the Responsible Gambling Council, a non-profit group dedicated to problem gambling awareness and prevention. The problem with online vices. Life doesn't have to be a gamble.